Waguli Lodge presents 2 Founder Awards annually. Recognizes Arrowmen who have given outstanding service to their lodge. 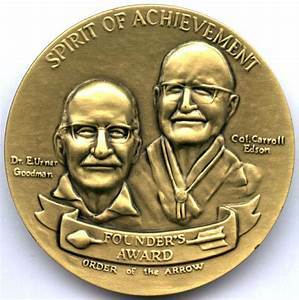 The award is reserved for an Arrowman who demonstrates that he or she personifies the spirit of selfless service, as advocated by founder E. Urner Goodman and cofounder Carroll A. Edson.